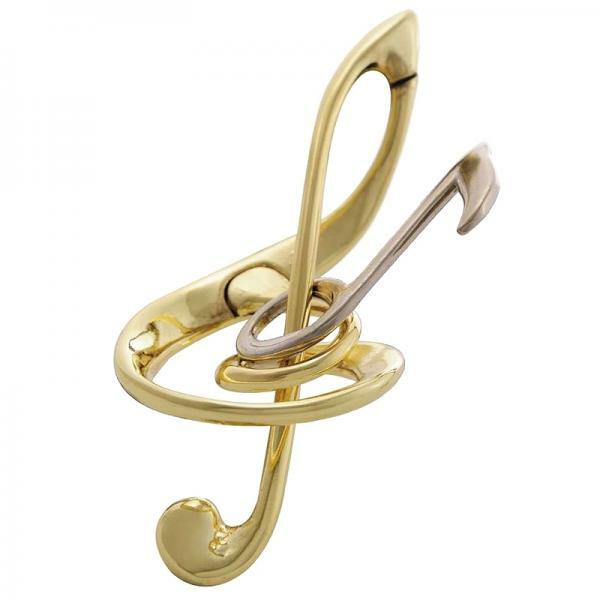 Challenge your problem-solving skills with "Harmony," a cast metal puzzle from Hanayama of Japan. This gleaming metal puzzle was designed to challenge your dexterity and your brain. Can you untangle the musical note from the treble clef symbol? Once you've succeeded in separating the pieces, try to return the puzzle to its original state.